To submit an article for consideration in an upcoming e-newsletter, please email the marketing committee chair. E-newsletters typically go out the first Tuesday of the month, and content for consideration is due the first Tuesday of the month preceding. 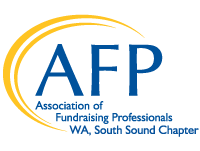 Note that links to content hosted on previous AFPSS website (from March 2018 and earlier) will no longer work.